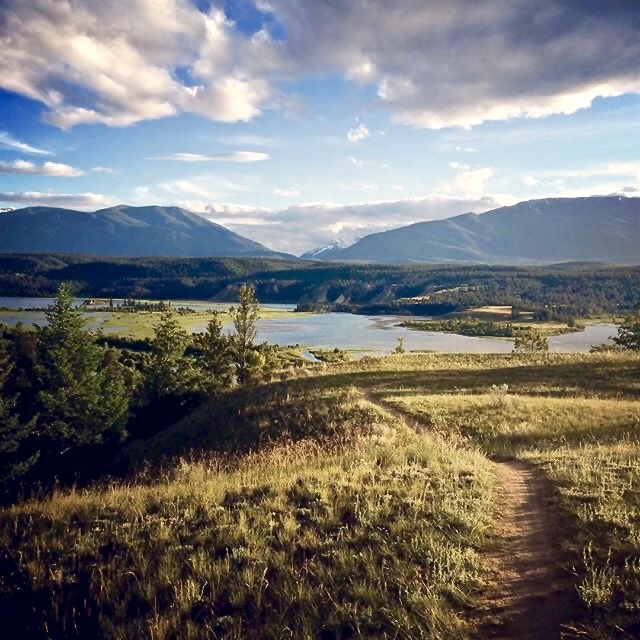 A lot of work has been happening on bringing more legal recreational trail access to the residents and visitors of the Columbia Valley, and we are excited to share some of the details on what has been happening over the past couple of months! For the good of wildlife, residents, land use planners, and recreationalists, let’s move mountain bike trails out of the shadows. Encouraging healthy outdoor activity and being realistic and honest about land use planning is good for everyone. Please don’t make us residents drive to Golden or Fernie every time we want to get outside! 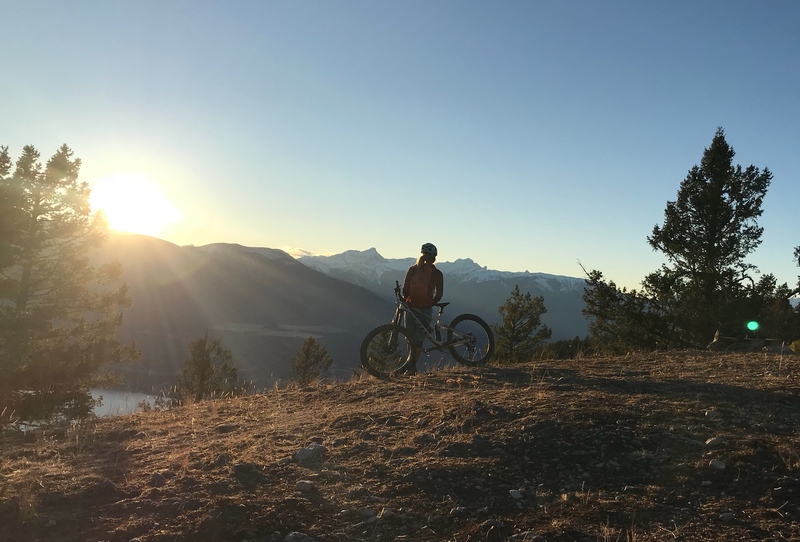 More trails in Invermere creates opportunities for better riding and variety while proving direct benefits to the community through increased usage, more money being spent in the valley. People will travel far to bike and hike good trails and spend more time in a community as a result. I lived in the CV for 12 years, loved to bike, hike, ski, and snowshoe on the trails; however, found that there were limited sanctioned trails to use. Trails of this nature draw visitors and visitors are good for local businesses. 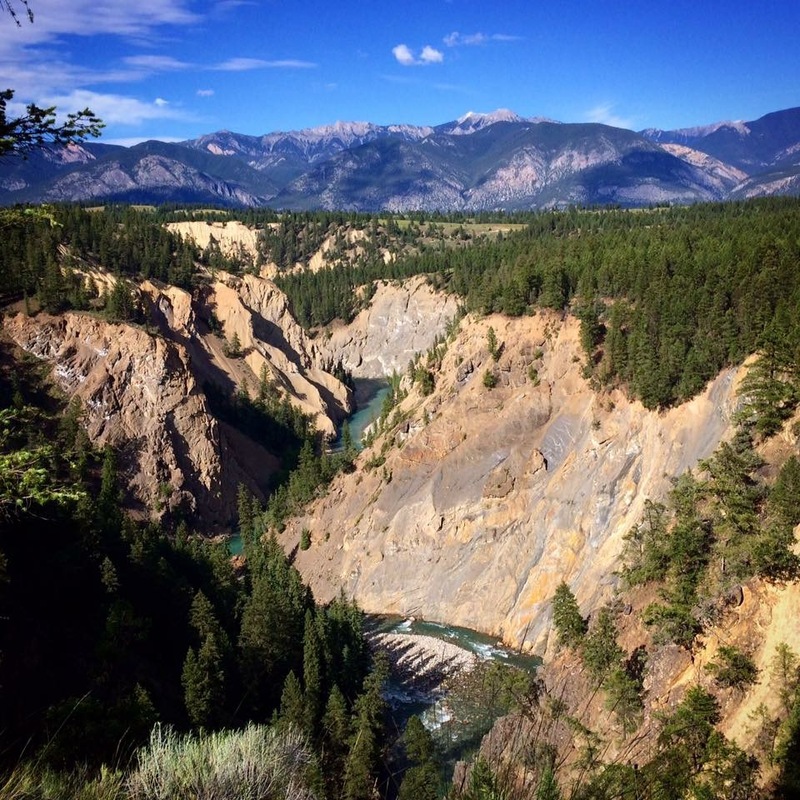 If we can attract year round outdoor people, Invermere could become a destination hub. Through this process of collecting feedback, we have also had some people express concerns over the application process, as well as environmental and wildlife issues. If you have not yet had the opportunity, we invite you to read over the Barbour Rock Recreation Trails Proposal, as well as our blog post on the Section 57 application process. There have also been concerns raised that the CVCS has already “laid track”, and that our intent is to “ram through” the development without consideration or consultation, and for the proposal to be exclusionary in nature. What these concerns are based on is quite honestly mystifying to the CVCS, but regardless, it is important to address these concerns. Firstly, the CVCS has not constructed ANY trail in the Barbour Rock area. We have simply walked proposed trail locations with GPS, and used these tracks to construct a proposed trail system, as is required by the Section 57 application process. The final location of trails themselves are completely malleable based on environmental and wildlife requirements, topography, and soil conditions. Prior to submitting the Section 57 application, the CVCS reached out to many stakeholders in the area to identify concerns and shape the proposal around these concerns. Removing a connecting trail from Lake Lillian, for example, is a prime example of amendments made based on stakeholders concerns. Furthermore, it is important to note that the proposed location itself was not only recommended by RSTBC, but approximately 50% of the proposed trails lie within area designated for trails by the Toby Benches OCP. It is also important to note that the stakeholders who received referral packages were identified by the government, not the CVCS. It is also important to understand that the referral process is, by definition, the consultation process. Any additional consultation done by the CVCS is above and beyond the requirements set out by RSTBC. The CVCS has also requested to meet with a specific group of concerned stakeholders on two separate occasions, but have been denied this opportunity. The notion of the proposed trails being exclusionary in nature is obscene. Yes, the CVCS is clearly focused on cycling, however our members are not just bikers. We are hikers, runners, skiers, and hunters. We are outdoor recreation enthusiasts, and appreciate well planned, sustainable trails which can be used by anyone. Simply put, trails are trails. And properly designed trails can be used and appreciated by everyone. Recreation areas, like the Barbour Rock Recreation Trails, do not belong to any single group, but rather the Crown. The CVCS will hold no tenure over the area, and has no capacity to create rules about who can and cannot use the area. We have been actively involved with wildlife biologists throughout the application process, and have recently reached out to an independent biologist to offer a second opinion on the assessment done, areas of concerns, and methods to mitigate potential impact. We have also submitted a request to Environment Canada to release the location of known nesting locations in order to better plan trail locations, and construct buffers around these nesting sites. Finally, we are pleased to announce that the CVCS, in partnership with the Columbia Valley Greenways Trail Alliance and RSTBC, will be hosting a Public Open House on January 20th & 21st. This will be an educational forum where the public can ask questions, gather information, and become better informed on the Barbour Rock Recreation Trails, the general application & referral process, and the CVGTA’s overall trail vision for the Columbia Valley. Details on specific times, location and attendees will be announced as plans for the structure and content are finalized. We encourage the entire community, not just outdoor recreation enthusiasts, to attend, learn more about the CVCS and the CVGTA, and show their support for creating more outstanding recreational opportunities in the Columbia Valley. I am an avid local trail user for hiking, walking, skiing and mountain biking. I support recreation trails for healthy people and communities, provided they are well planned, developed in appropriate locations, take other land uses into account, and minimize neagative environmental impacts. I have been disappointed in the cycling society’s dismissive attitude towards alternative viewpoints during the consultation process, but perhaps even more frustrated with the failure of the responsible government agency to be a fair and independent arbitrator of sometimes conflicting land use values. I also would like to see individual trail proposals set within a larger scale regional trails plan that takes into account a variety of uses, critical wildlife habitat and connectivity, and the overall cumulative impact of trail density on the environment. I am offended by your arrogant and misguided statement that people who fear exclusionary uses at Barbour Rock hold an “obscene notion.” As an avid hiker, and professional trail planner in past years, I know that a dense network of bike trails is not necessarily optimal for hiking and other uses; I think the cycling society could benefit from a bit more humility and tolerance of other legitimate perspectives around the proposed Barbour Rock trails and trail development in general. Thanks for the comment! We certainly agree that there are a myriad of shortcomings when it comes to how government agencies have dealt with similar proposals in the past, and how there truly is not a recreational access plan for crown land in the valley. If you recall, for a number of years a Columbia Valley Recreational Access Plan committee worked towards this goal, before ultimately being shut down due to an upcoming election, and is only now beginning to be re-assembled. I believe that they are still years away from coming to a consensus as to developing a solid access plan for the valley – simply too many people and user groups have drawn “lines in the sand” without really taking the time to sit, listen, and understand each other. This brings us to the point of exclusionary access. Since there is no “all encompassing” access/recreational use plan for crown land in the valley, it is up to the individual user groups to come up with such a plan on their own. To put forward a plan which is exclusionary in nature is destined to fail, and frankly, a waste of time. Not only will such a plan receive significant public backlash, but the approving bodies specifically look for plans which account for and accommodate many different user groups. Thus, it is in the best interest of any user group to try to encompass as many use cases as possible into their proposal. Efforts have been made to work with other user groups, such as the climbing community, who respectfully does not want to be part of the proposal. In other cases, such as hiking, there is not a society representing this user group in the valley, thus concessions have to be made based on our understanding of the user groups desires, and feedback received. So, thus is the genesis of the “obscene notion” of exclusionary planning. In the case with Barbour, every effort has been made (and is continuing to be made) to accommodate the needs of existing users, and those of future users. Internationally recognized standards for sustainable multi-use trail construction will be used, existing motorized trails will remain, with proper signage placed to ensure safety when paths cross, and hiking-only trails are planned to access key viewpoints while creating loops which can cater to any fitness level/time constraint. Existing Christmas tree tenures are able to operate as normal, logging licenses are intact, trap lines remain, and hunters are able to use the area in the same way as they historically have. No user groups have been excluded from using the area. No changes have to be made to the way those user groups use the area. It is up to the cycling society to work around the existing users, not the other way around.